This short technical ebook presents a new standard model for Elementary Particles. All elementary particle masses are related by simple math. This math is similar to the math used for wifi signals and it is called 1024-QAM. The 1024-QAM table graphically displays how all elementary particles are related, similar to the Standard Periodic Table in chemistry. If we line up all of the particle masses in order, we find there are a number of “gaps.” These are called the mass gaps, and they line up perfectly with 1024-QAM, which fits the sequence. Supersymmetry (SUSY) is also found to occur with 1024-QAM. Mass Groups 1 thru 8 have heavyweight counterparts which are found in Mass Groups 9 thru 16. 4 new particles are predicted to be discovered between 0.7 to 15 TeV. Also, 4 new particles are predicted to be discovered between 30 to 200 TeV. Numerous other new particles are predicted using 1024-QAM. 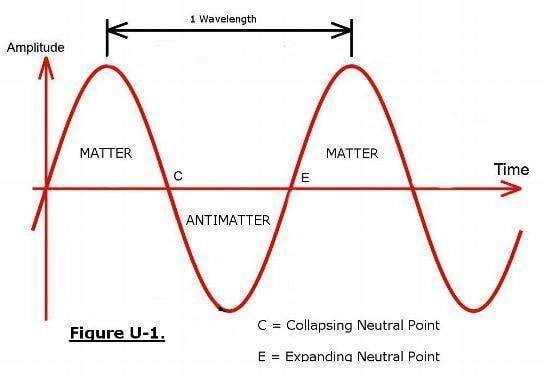 The only possible explanation for elementary particles to match a QAM pattern, is due to a blinking or discrete universe. This ebook provides compelling evidence that our universe is literally blinking, off and on. This blinking frequency is about 1.1 THz. This author challenges scientists in the particle physics field to provide a better model than 1024-QAM, that will fit the “mass gaps.” I suggest starting with a QAM model and see what format you think will best fit the existing experimental data that is available. In my opinion, the data to support 1024-QAM is already available at CERN, Berkeley, Fermi Lab, Brookhaven, Perimeter Institute, and Stanford. No expensive, new experiment will need to be run. The math for the QAM table is simple and elegant. No previous particle model has been able to explain the mass gaps. The QAM model beautifully explains the mass gaps. QAM stands for Quadrature Amplitude Modulation. Digital-QAM is a data transmission method that can be used to broadcast television pictures or WiFi signals, and many other applications. For digital applications involving computers, its use seems obvious. However, for applications involving physical reality – this may seem confusing, until it is understood that our universe is literally blinking off and on. Figure 3. 1024-QAM. 4 Quadrants with 16 Mass Groups and 16 probabilities for a total of 1024 points. Note that each quadrant contains 256 points and has 16 Mass Groups and 16 probabilities. The 16 probabilities are the vertical column (red) of points from the blue baseline. There are 4 x 4 x 4 possible mass types for a total of 64. There are 4 possible charge types and 4 possible spin types. Figure 4. This is how the center of the 1024-QAM table might look like. Note the sequence of red numbers – this is the basic pattern for QAM. It is apparent that the first 4 particle masses are Bosons. There may be some minor changes is the order of leptons and quarks, but the pattern is basically predictable. In our search for particles, it is clear we have skipped over some lightweight particle masses, or we may need to target our future searches for specific masses. Bosons are orange, Leptons are green, and quarks are purple. My initial thoughts looking at this table are: I can't believe that we missed all of these lightweight particles! How can this be correct? However, I ask you to consider – how many chemicals were missed and skipped over when the Chemical Periodic Table was being assembled in the 1800's and early 1900's? Anyone that knows this history can confirm – many of the elements were rare in nature and had not been identified. The difference is; this time we are working with a mathematical pattern, not just experimental evidence. The other possibility - is that these missing particles are dark matter. Figure 5. This is the 10-bit format for 1024-QAM. Each position has 4 possible data values: 00, 01, 10, and 11. This equals a total of 1024 possible particles. Our universe is literally constructed with a mathematical pattern. Figure 6. Periodic Table for Elementary Particles showing all 16 mass groups. Each particle has 16 probabilities = 4 charges X 4 Spins. Total Particle count = 1024. This is the new standard model. Note how the particles appear in groups of four. This is typical of a QAM or wifi signal. They are arranged by mass groups in a natural pattern. Our universe is constructed using a simple mathematical pattern. It provides compelling evidence that our universe is literally blinking, off and on, at a high frequency. Note that the pattern of quarks and leptons can be “filled-in” from the previously available known data. Although it may need some minor corrections from what is shown in this table, the pattern is basically predictable. Note that we are aware of 3 particle types: Lepton, Quark, and Boson. 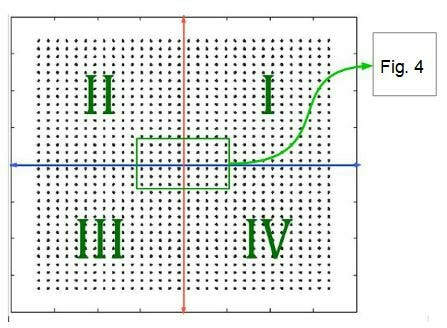 In a pattern of 4's (QAM) – there must be a 4th particle type. I call the 4th particle type, “Quaterns.” They are the heavyweight counterparts for the Boson, and have a similar purpose within the particle field. When we discover the photino soon, it will be a Quatern. This is not simply a new particle, it is a new type of particle. strongly suggests that particle masses are predictable. Note these values are known particle masses. Mass Gaps, charge, spin and amplitude are readily identified and arranged by a Digital-QAM table. 3. Richard Lighthouse, The Discovery of Parallel Universes, smashwords.com; 2013. 8. Theodore Lach, “Masses of the Sub-Nuclear Particles;” arxiv.org/abs/nucl-th/0008026; submitted 14 August 2000. 9. Eric R. Scerri, “Master of Missing Elements,” American Scientist, September 2014, pg 358. Interesting historical note: Henry Moseley’s discoveries in the early 1900s, corrected the chemical periodic table and showed that, at least 3, chemical elements were missing from the table (atomic numbers 43, 61, and 75). The author gratefully acknowledges Seth, Jane Roberts, and Rob Butts for their significant contributions. About: The author holds a Master of Science (M.Sc.) degree in Mechanical Engineering from Stanford University.